In our little apartment it’s all about the details. Small changes can update the feel of our home and signal a season change. We don’t have the resources to completely redecorate for Spring, so above are some easy, affordable ideas to update your home. 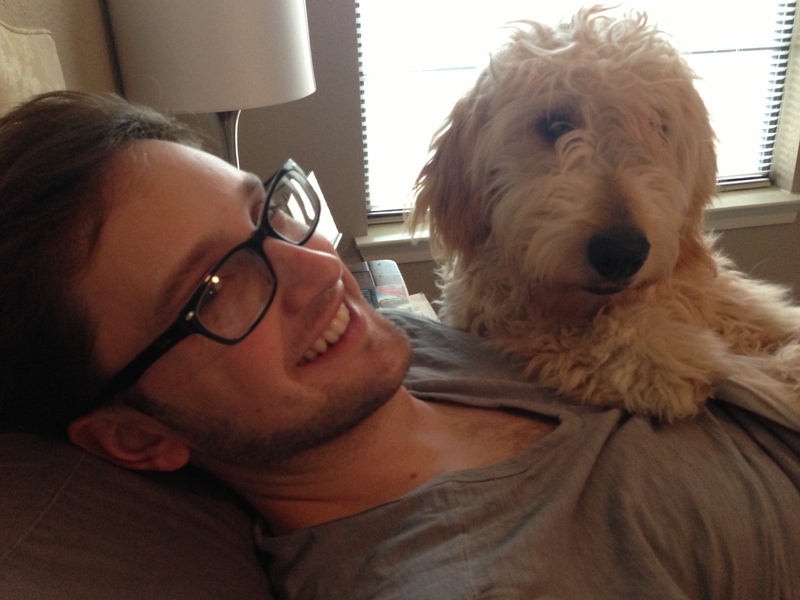 Or if all else fails, just get a cute husband and puppy. That always does the trick. This entry was posted on April 22, 2013 by milledavis. 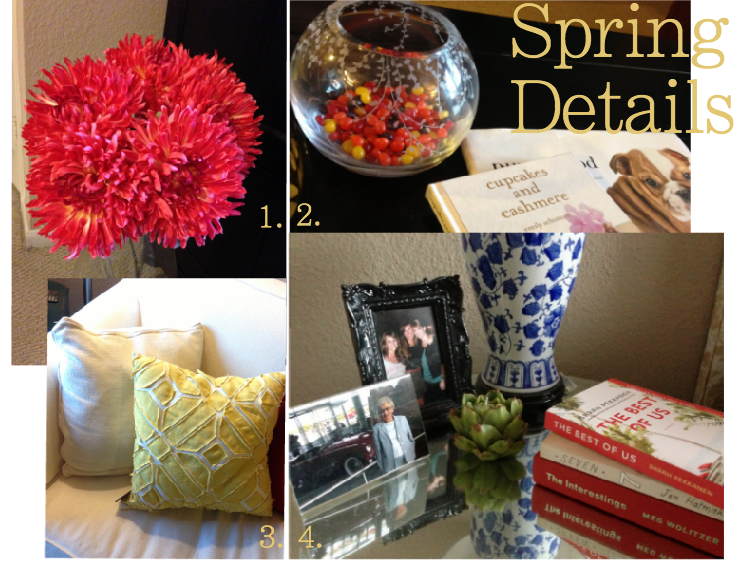 It was filed under Decor, Spring and was tagged with decor, flowers, home, pillows, spring, style.